These are carefree days of laughter and adventure - sneaking Supermatch cigarettes and gorging on stolen mangoes - as he and his mischievous gang of friends transform their tiny cul-de-sac into their kingdom. 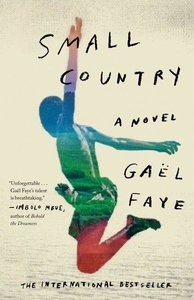 A novel of extraordinary power and beauty, Small Country describes an end of innocence as seen through the eyes of a child caught in the maelstrom of history. Shot through with shadows and light, tragedy and humor, it is a stirring tribute not only to a dark chapter in Africa's past, but also to the bright days that preceded it.